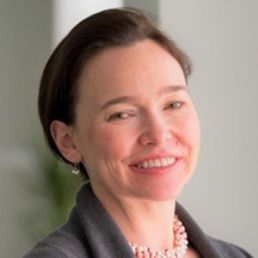 Mrs. Robyn McGuckin is the Head of Partnerships for P4G (Partnerships for Green Growth and the Global Goals 2030) an initiative based out of the World Resources Institute founded by Denmark and backed by seven member countries. She works to identify, accelerate and scale public-private partnerships that create green economic growth in the five SDG areas of food/agriculture, water, energy, cities, and circular economy in developing and emerging economies. Robyn has spent her career helping organizations develop and advance projects in the areas of clean energy, sustainable water, climate and sustainable development. Most recently she worked in senior management in the international non-profit sector. Prior to that she was a business unit leader for the global engineering firm MWH (now Stantec). She also worked at USAID in the Middle East and South Asia, managing energy projects and infrastructure reconstruction. Prior to that she was a consultant to the US EPA, US DOE’s EERE, the World Bank and UNDP. She has lived or worked in over 20 countries spanning the US, Asia, Africa, the Middle East, and Europe. Robyn spends her free time with her husband and two young boys adventuring in the great outdoors. She was a nationally ranked competitive cyclist in the DC area and co-founder the cycling club Artemis Racing which is focused on promoting women and youth in the sport. Climate and the Sustainable Development Goals have been recognized as a $26 Trillion dollar economic opportunity through 2030. More needs to be done by leading companies to communicate how transformative business models can realize both these returns. Private sector investment of $100B per year is needed to realize climate and sustainable development goals. Leading business institutes need to do more to advance and promote the most successful of the existing, profitable business models to rapidly catalyze additional market entrants. Public private partnerships will transform green economic growth and are critical to capturing the $26 Trillion dollar opportunity presented by climate smart goals.